Precision molding is more than what we do – it’s how we approach our work. We key into the intricate details of our customers and their unique challenges to create processes that ensure superior outcomes. 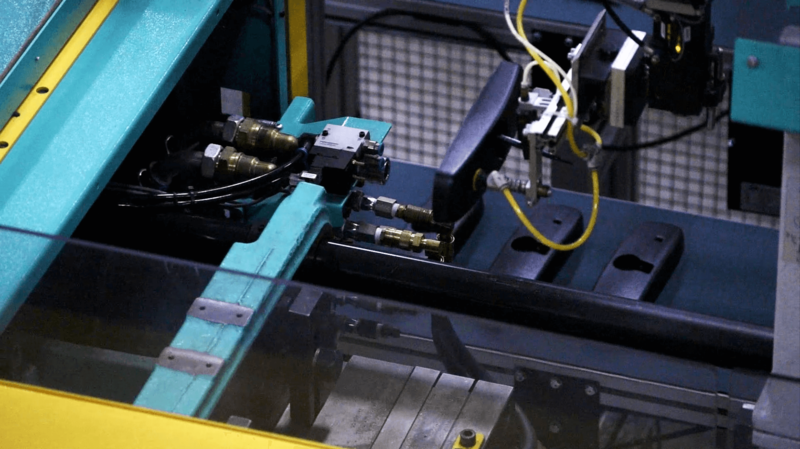 No matter the industry, no matter the problem – precision molding is always our first concern. Primera can produce unlimited color options with the capabilities to match any and every color you desire. In the fast-paced, high-performance automotive industry, commitments to quality, safety and cost-reduction are key. That’s why Primera Plastics is the optimal partnership. Our RJG-certified engineers and technicians are equipped to quickly assess customer needs and develop precision processes that meet automotive industry’s strictest standards. That applies to all of our production. Advanced Product Quality Planning (APQP) and proprietary Primera processes design quality into our parts, processes and programs. We know the bottom line is always top of mind, so our custom processes minimize time and maximize resources to defy expectations and keep costs down. We are equipped to handle a variety of interior and exterior automotive needs including Class A and Class B components. Hands-on experience with industry processes and collaborative partnerships with clients like the ones listed above. Want to find out if Primera is the right fit for your specialty and for your part? The innovative spirit and the functional aesthetic are at the heart of the furniture industry. How each part functions, fits and forms is important at each stage of the process. That’s why Primera offers expert plastic validation with high quality plastic injection molding to put all of the pieces together. Our qualified team of RJG-certified engineers and technicians offer expert specification reviews to ensure specifications are met and results attained. Creating processes that meet specifications in order to work seamlessly with integrated parts. One size, shape, or color simply does not fit all. Primera offers a huge range of customizable materials and finishes for a truly unique outcome. The customer-facing consumer goods industry demands top quality products that meet expectations day in and day out as well as consistency in return purchases. Our team has vast experience and expertise in polymer materials that helps us offer grades with the best blend of price and properties for the specific application. Our engineering team works closely with you and the end manufacturer to offer valuable insights for producing a part with a high level of manufacturability and low cost. Throughout our partnership we will regularly conduct in depth part and tool reviews to enhance or repair the process and tool for optimal pricing and durability. There is no room for mistakes when it comes to patient well being and safety. Primera is recognized industry wide for it’s rigid standards both internally and by third party certifications. You can only judge quality so far with the naked eye. Our process includes scientific moldflow analysis to review both simulations and real world molding to optimize results. Sometimes a tenth of a millimeter or even smaller make the biggest difference which is why we use pressure transducers to provide world-class control on tight margins. Our team’s knowledge of materials allows us to make informed substitution and selection recommendations without adding unnecessary costs.